A focused jump over a fence, racing through a tunnel and taking weave poles – that’s agility. A sport that requires leadability, dexterity and speed. In the beginning, however, you start with practicing single fences such as A-frames and see-saws, which the book describes in detail. 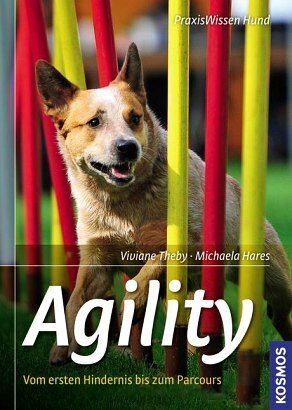 In addition, authors Viviane Theby and Michaela Hares offer valuable advice on how to prevent joint damage and turn agility into a healthy sport.